Steiff Teddy Bear Terry 30cm - Soft toys - Soft Toys - Toys Perth Western Australia. Childrens Gifts. What child doesn't love a cuddly Teddy bear that can tag along for any adventure? Terry is perfect for just that! 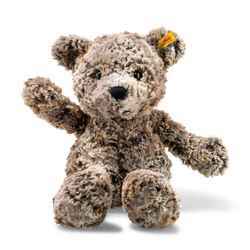 Steiff Terry Teddy, is made in beautiful mottled brown cuddly soft plush and wears the famous Steiff button in ear, together with the classic yellow ear tag. He is fully machine washable at 30 °C Size 30cm The Steiff company motto is "Only the best is good enough for children". 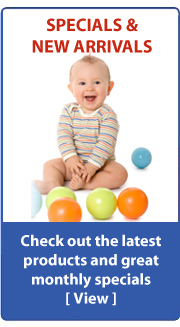 Steiff products are subject to meticulous testing and inspection. They are required to be highly flame resistant and, among other things, smaller pieces such as eyes must be able to resist considerable tension, wear and tear, etc. Margarete Steiff holds the best-documented claim to have made the world's first teddy bears, and since that time (1902) no other company have rivalled them for consistent quality or range. Whenever a bear has fetched a world record at auction, it has always been a Steiff!